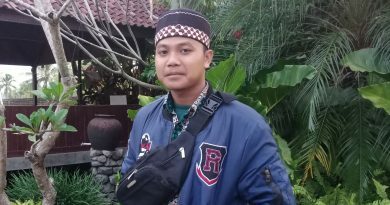 Jember – PMII Rayon Fakultas Tarbiyah dan Ilmu Keguruan IAIN Jember melakukan penggalangan dana untuk korban bencana gempa di Lombok. Agenda tersebut berlangsung di Beberapa Tempat Kota/Kabupaten Jember antara lain Lampu Merah Argopuro, Rest Area Jubung, Lampu merah Gladak kembar, lampu merah Mangli dan Alun-alun Jemberpada Kamis, 9/80/18. 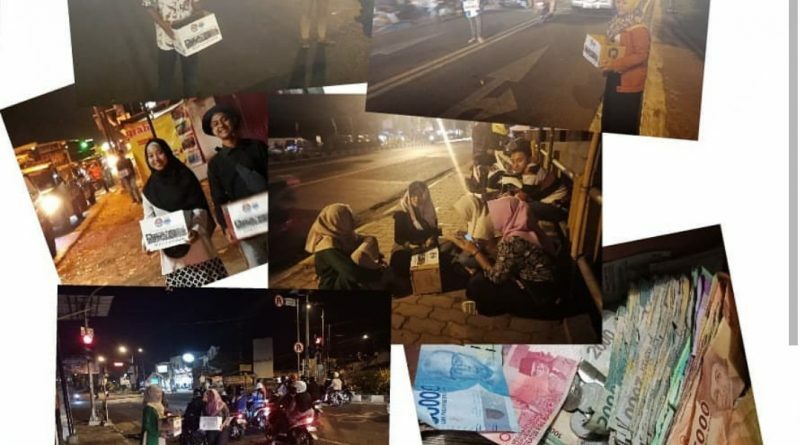 Aksi yang digelar sejumlah Aktivis Mahasiswa dengan menggunakan karton, Kardus untuk menggalang dana dari pengendara kendaraan yang melintas di jalan rencananya akan digelar selama 3 Hari. “Dana yang terkumpul akan disumbangkan kepada korban gempa di Lombok yang saat ini membutuhkan banyak uluran tangan. Semua dana yang terkumpul nantinya akan langsung di kirim kepada Pengurus Besar PMII”. 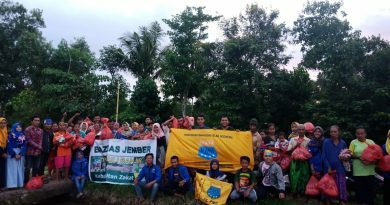 Sesuai dengan Surat edaran dari PB PMII berupa instruksi untuk menggelar aksi solidaritas dari. 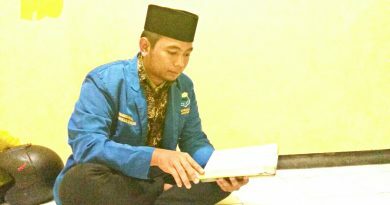 Ketua Umum PMII Rayon Fakultas Tarbiyah dan Ilmu keguruan, M Nizar Baihaky mengatakan bahwa kegiatan ini merupakan inisiatif dari Aktivis Mahasiswa sebagai aksi sosial kemanusiaan. “Harapannya untuk saudara kita yang di Lombok, agar bencana alam yang terjadi dapat segera diselesaikan. Dan kegiatan yang kami lakukan saat ini semoga banyak elemen masyarakat yang kerap berpartisipasi nantinya dapat meringankan beban mereka yang terkena musibah,”. actually get helpful data concerning my study and knowledge. tadalafil terapeutico http://genericalis.com/ buy cialis. Superb Some extremely valid points! I appreciate you writing this write-up and also the rest of the website is extremely good. cialis online[/url] indicaciones cialis 20 mg.
What’s up, neat webpage you possess there. Hi, it’s Moises from last time! I’m writing because I want to suggest on the great work on the hair content on or.id. Things are getting a bit stale though… and Google just updated their algorithm again, you know how that’ll negatively impact your most important traffic source, if there isn’t an ongoing flow of fresh blogs! You see, websites get majority of their organic traffic from their blogs, and I feel that you could use a little help, since you are not blogging that frequently yet. You can have a brand new article to post on or.id starting at $10 in as little as 5 business days! atrial fibrillation and use of sildenafil buy cheap viagra online launch of sildenafil in korea. I’m reaching out because I want to suggest on the good work on the hair content on or.id. Things are getting a bit stale… and Google just updated their algorithm again, you know how that’ll negatively impact your most important traffic source, if there isn’t a consistent flow of fresh content! You see, most websites get majority of their free traffic from their blogs, and I feel that you could use a little boost, since you are not blogging that frequently for now. You can have your new blog to post on or.id starting at $10 in as little as 5 days! informative. I ponder why the opposite experts of this sector don’t understand this. – PMII Rayon Fakultas Tarbiyah dan Ilmu Keguruanyou have a great readers’ base already! miglior sito per acquistare online http://saporidelgusto.it/wp-includes/IXR/farmacia/flamexin.html generico con postepay. A skin case clinic you can trust based in Rotherham. We offer a wide range of treatments from skin care to laser hair removel. Several of them are rife with spelling issues and I to find it very bothersome to tell the truth however I will definitely come again again. Attractive portion of content. I simply stumbled upon your weblog and in accession capital to assert that I get in fact enjoyed account your blog posts. web site dailly and take good information from here daily.